BAT XLR-equipped rechargeable Bluetooth receiver that converts previously hard-wired mixers or powered loudspeakers into wireless reception devices, free from restrictive, cumbersome connection cables. Alto Professional, the world’s leading innovator for live performance sound reinforcement products, today announced the introduction of their innovative BAT XLR-equipped rechargeable Bluetooth receiver that converts previously hard-wired mixers or powered loudspeakers into wireless reception devices, free from restrictive, cumbersome connection cables. 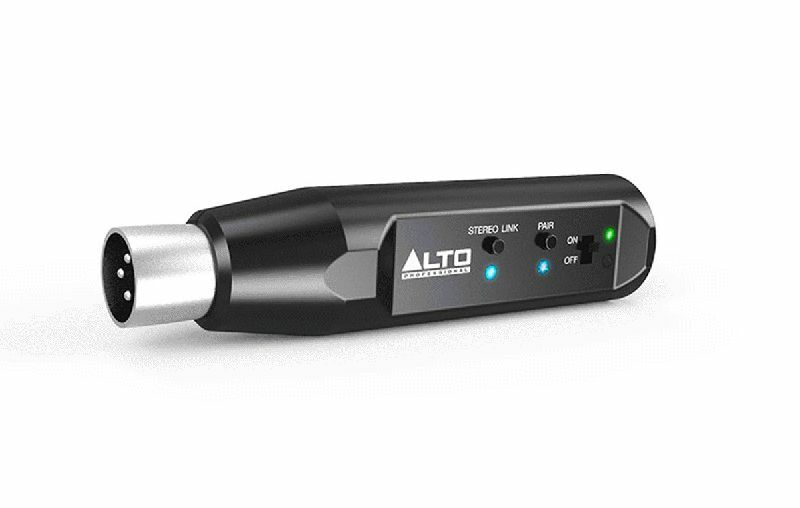 Recognizing that signal cabling in the set-up logistics of professional sound installations is very often a daunting obstacle standing in the way of a smooth-working system, Alto Professional’s BAT provides a way for set-up people to avoid the hassles and inconvenience of hard-wiring their system. It’s not only difficult to physically lay down signal cables and snake them around corners or to different levels, the cables themselves often pose a safety/tripping hazard that can result in signal interruption from kicked out cables or—at worst—personal injury. The BAT solves all these problems. A slender and compact unit, the BAT connects to professional equipment via its XLR connector. A fast, simple 2-step, 2-button arrangement makes pairing and wireless reception a snap. Now any hard-wired XLR-equipped system becomes wireless, with all the advantages of not having long hard-wired cable runs, and most importantly, no sacrifice of audio quality. • Compact and lightweight: only 14 oz.